Are Micro Consoles Set To Become A New Trend In Home Gaming? Some of you may not even know what a “micro console” even is, but don’t worry – you’ll find out soon enough. We’ve decided to give you a break down on upcoming micro consoles, and answer a few questions about them. A micro console is a small, obviously, form factor machine built solely to play games, and meant to be a low cost option to buying a larger more advanced system. A few examples of them are: the Onlive console, the OUYA, the GameStick, and now Valve’s Steam box. 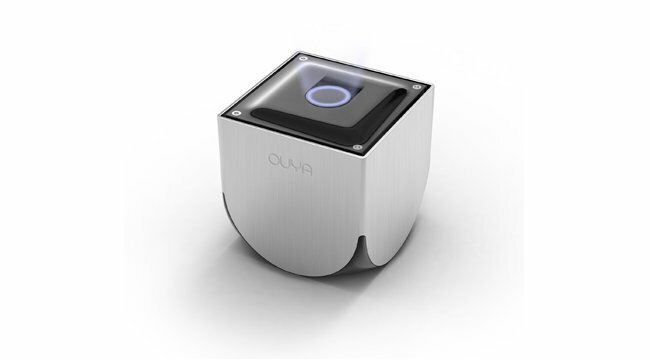 The OUYA and GameStick used crowdfunding to develop and produce their consoles. OUYA’s Kickstarter campaign raised over eight and a half million dollars(8,500,000.00), while only seeking nine hundred and fifty thousand dollars(950,000.00). GameStick raised over six hundred thousand dollars(600,000.00), while only seeking one hundred thousand. It seems clear by looking at these numbers there’s a large market for the machines. 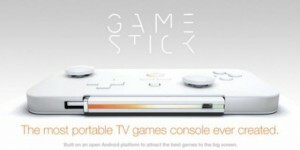 The OUYA, and GameStick both run on an Android OS, so their games are android based. However, that doesn’t mean that the games will be the same between both consoles. They’re both using Android, but they are both pushing for console specific development. OUYA recently held a game creation contest, called OUYA CREATE, where they had over 165 entries, and all those games were developed directly for the OUYA. GameStick has been finding collaborations between developers like Madfinger, Hutch, and Disney to bring games to their console. Valve’s Steam box is different though, running a form of Linux, and using Steam as its digital delivery method. All the consoles are using a digital media delivery system, a marketplace, so expect games to have many differing price points, unlike retail games that generally all have MSRP’s of $59.99. It’s also likely these games will cost much less than current or even next generation games. Don’t expect to be playing the latest AAA title on any of these systems, though, because they are an unproven machine. AAA studios will be hesitant to produce titles for the micro consoles. Expect that a large number of these systems’ titles to be from smaller developers, and to be focusing on smaller scale fun games. Each Console will have price differences. Currently the GameStick is the lowest priced between the competitors at $79.99, OUYA is priced at $99, and still no word on a price for the Steam box. It is not only the cost of the console that makes buying one attractive, but also the fact that the games are digitally distributed, and typically cost less than physical games. Julie Uhrman, OUYA’s creator, has stated that the console will have an annual, yearly hardware update process. No word as to if the GameStick will also have an update process. Why should you care about micro consoles? More and more home are being outfitted with broadband Internet, and that mean digital distribution is going to play a large role in future gaming systems. All three consoles are solely digital distribution platforms, so this is a large leap, and a large gamble. Don’t expect these consoles to compete against Microsoft’s new Xbox, Sony’s PS4, or Nintendo’s Wii U, but rather become a complement to them by offering smaller and cheaper entertainment while you wait between AAA title releases. There’s also a lot of room for indie developers to find success by developing games on a micro console. I for one think this is great idea, and I have high hopes for all three. XboxOne: Anti-Consumer or Exciting Technology? You Be The Judge!